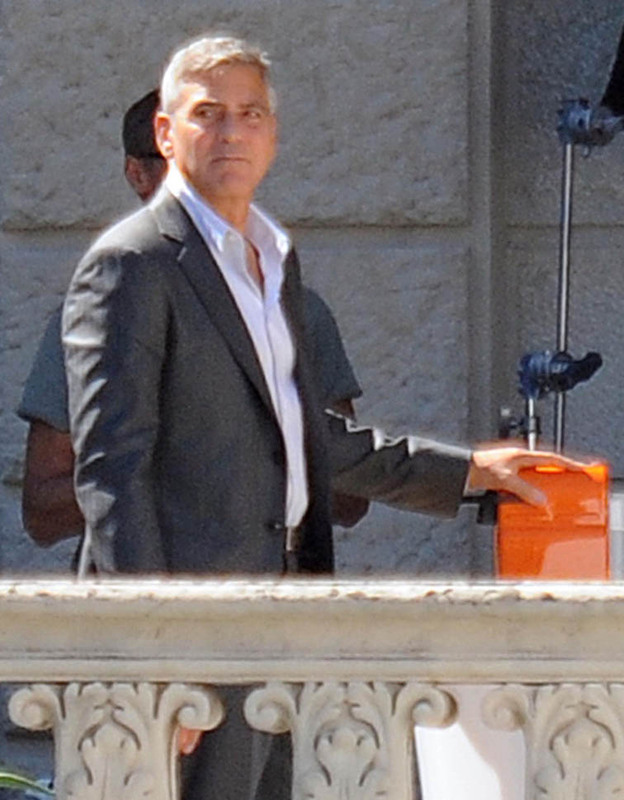 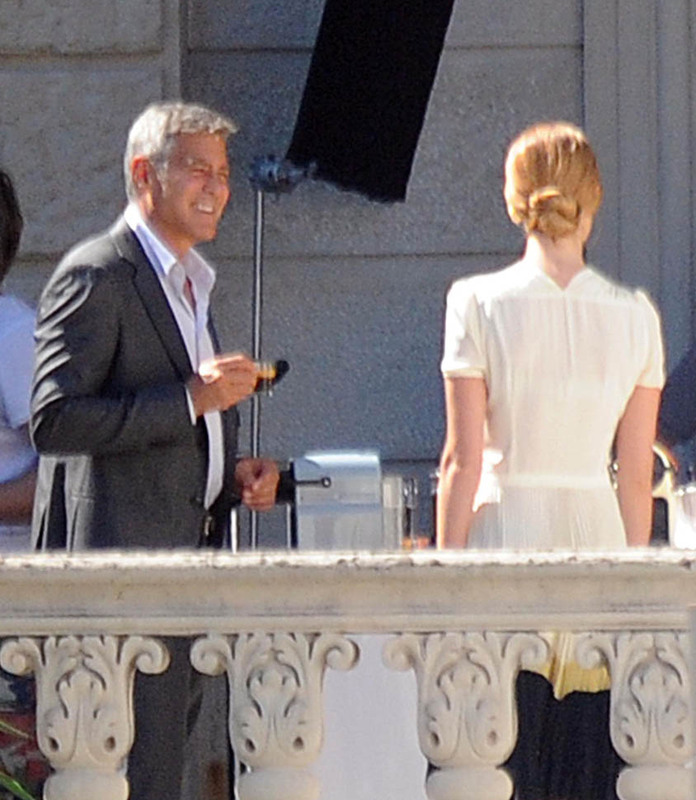 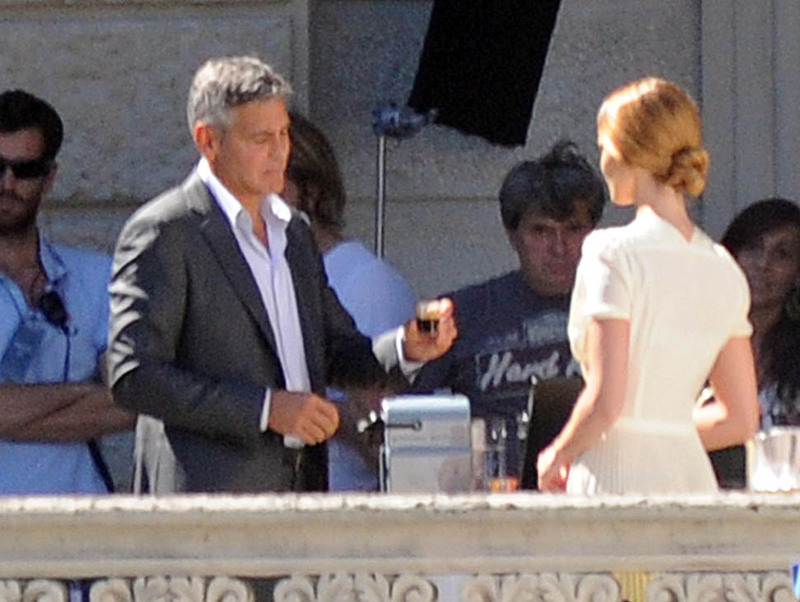 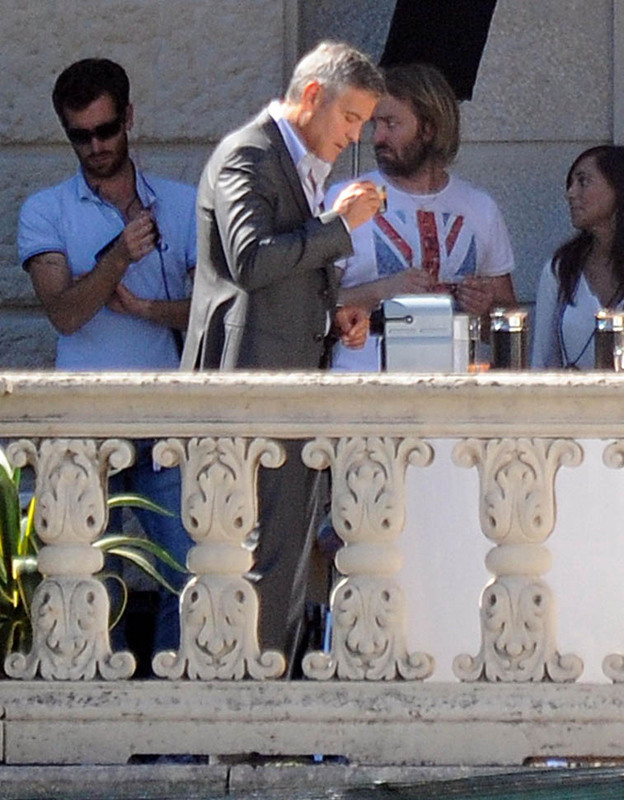 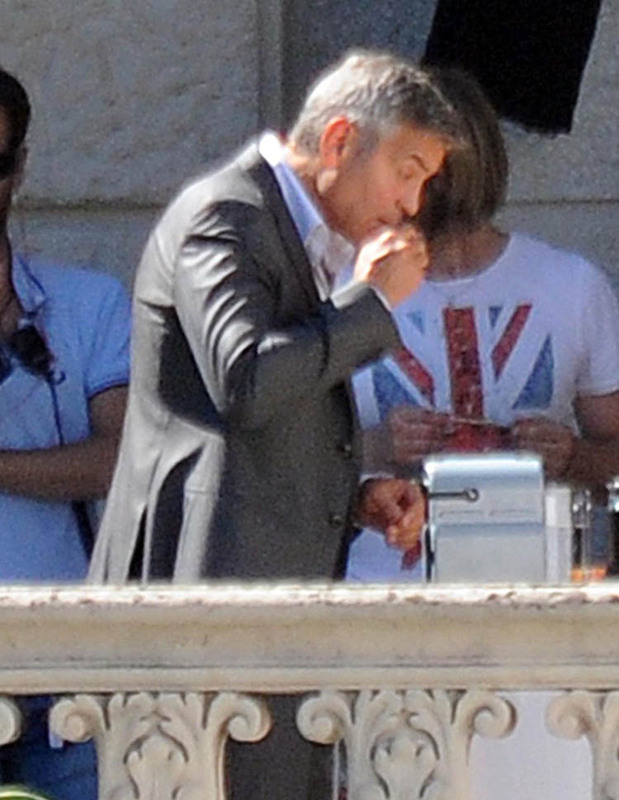 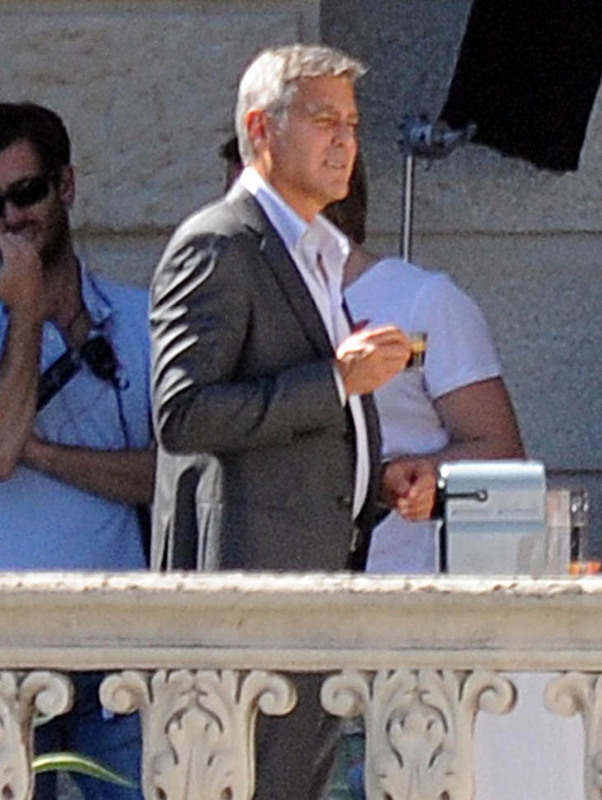 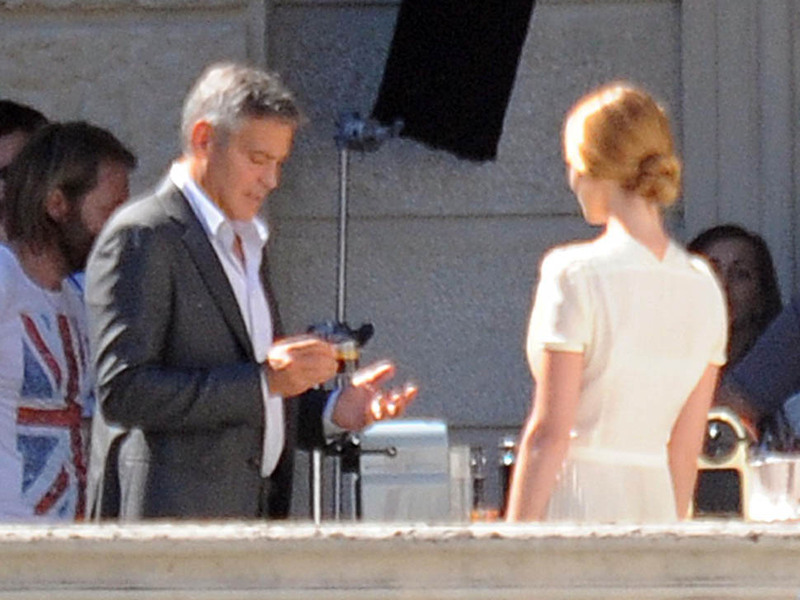 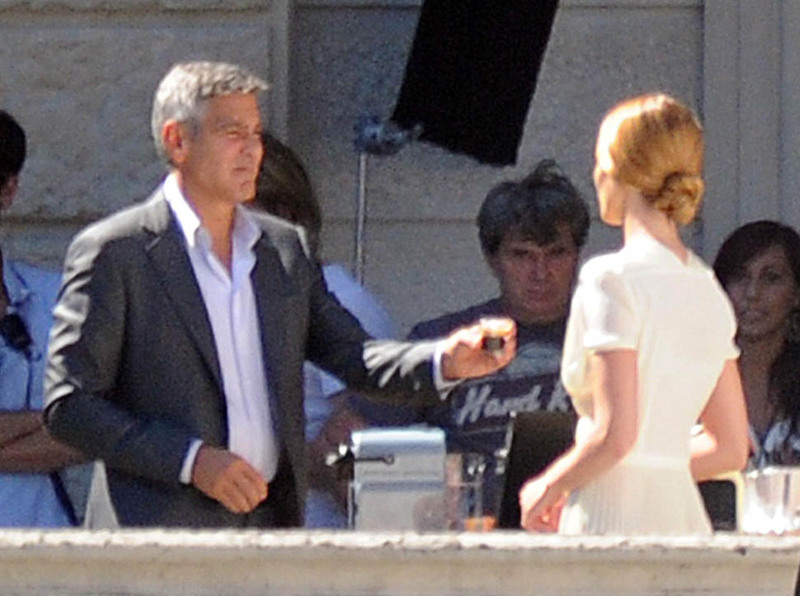 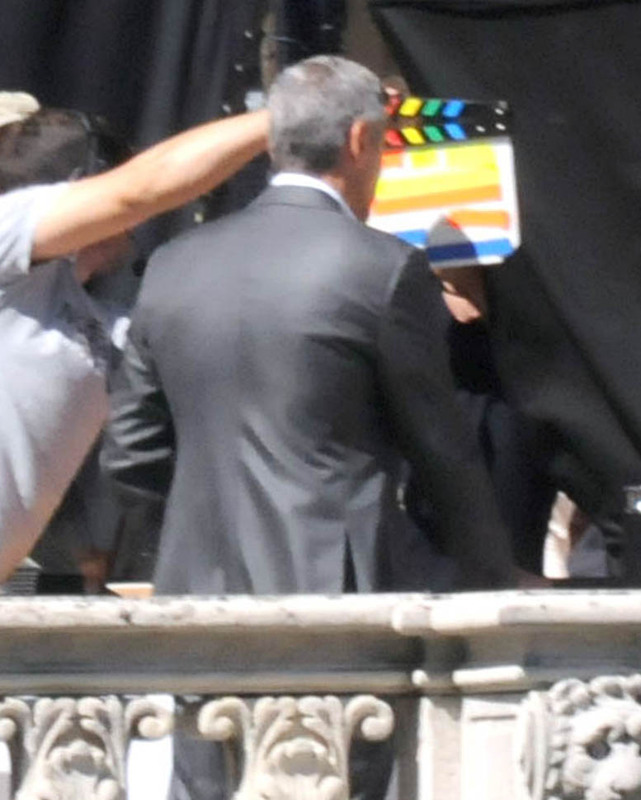 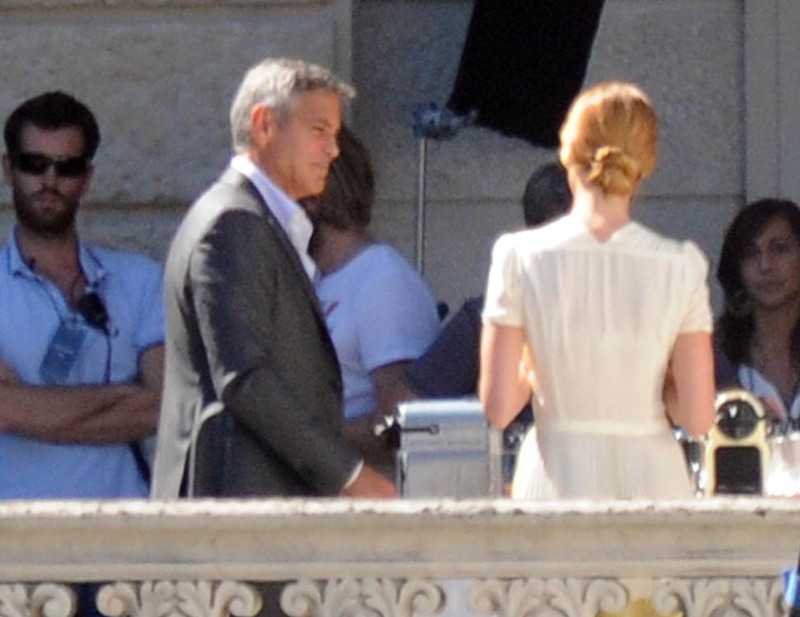 I posted photos of George Clooney shooting a new Nespresso ad in Italy earlier – click here for a refresher. 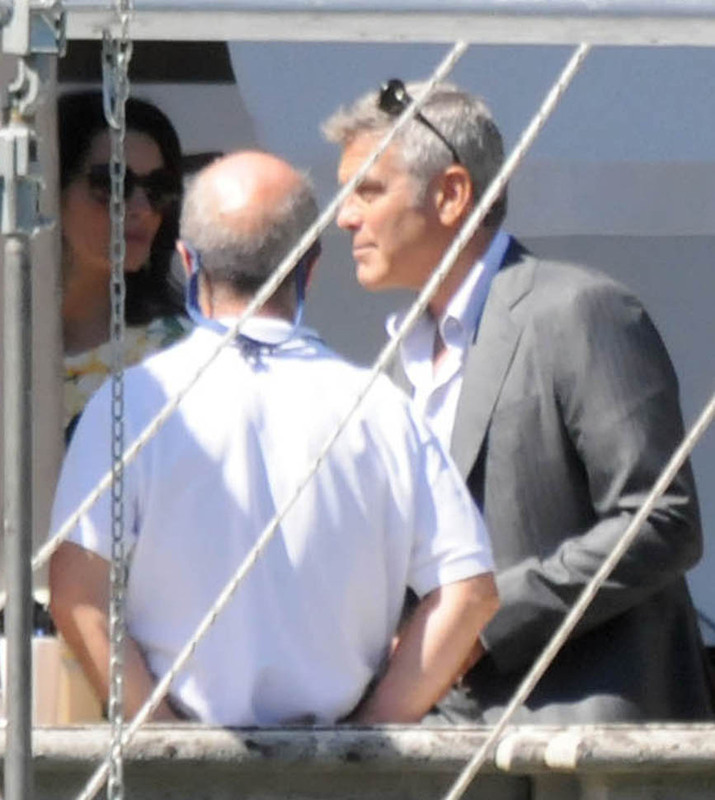 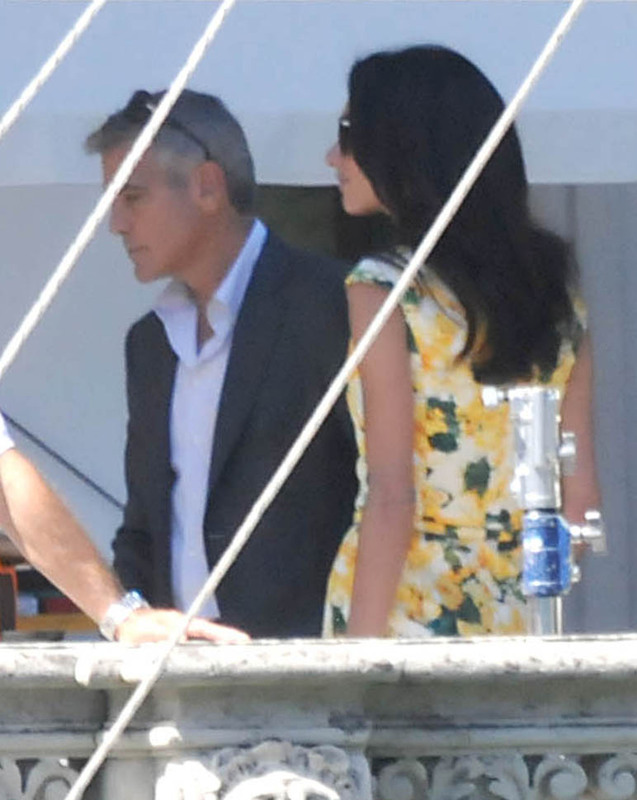 These are new shots from the same set…except that Amal Alamuddin came to visit. 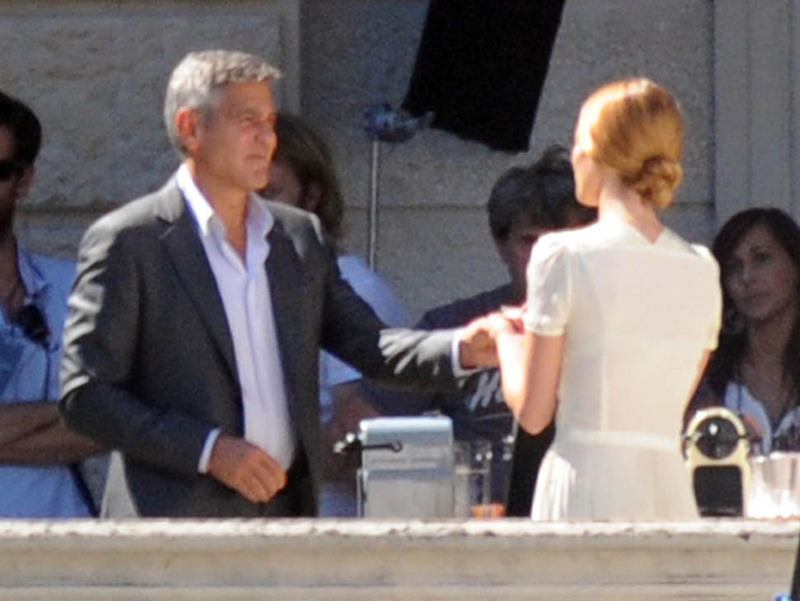 And George put his arm around her and they kissed. 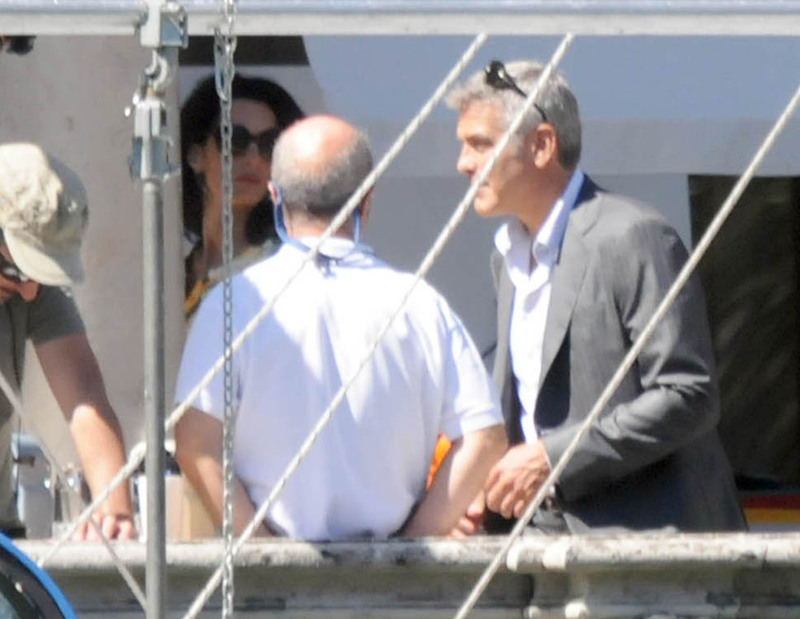 George’s best friend Grant Heslov was there too. 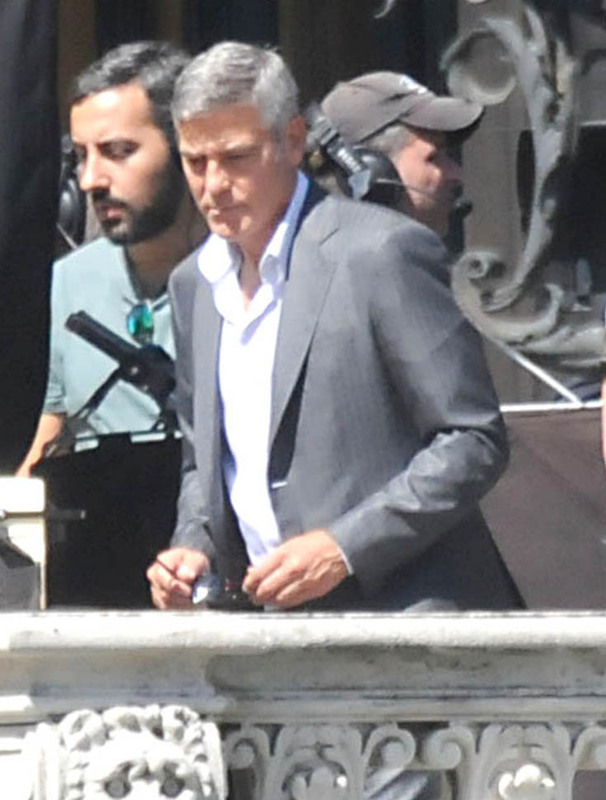 Is Grant Heslov going to be in the ALS Ice Bucket Challenge? 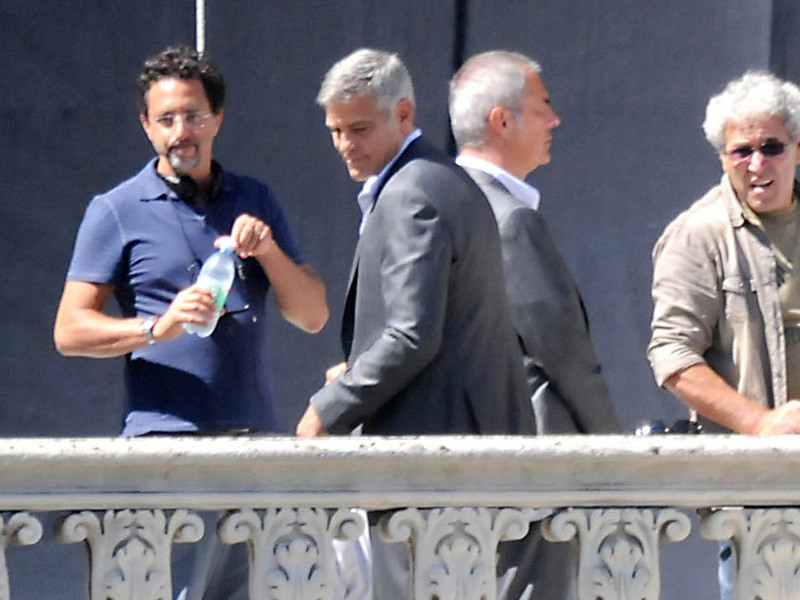 Heslov has a lot of Hollywood friends too. 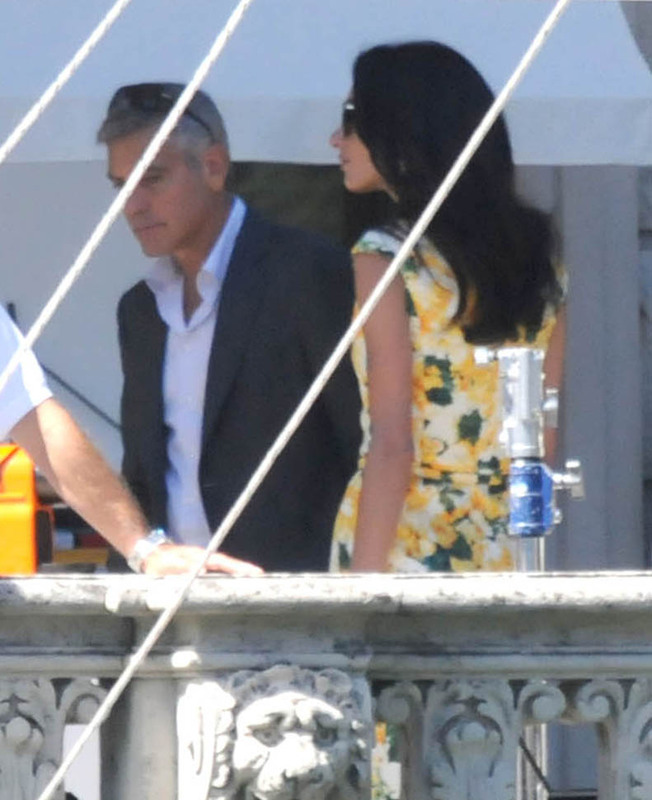 Anyway, I’ll leave you to your creeping on the future Mrs Clooney. 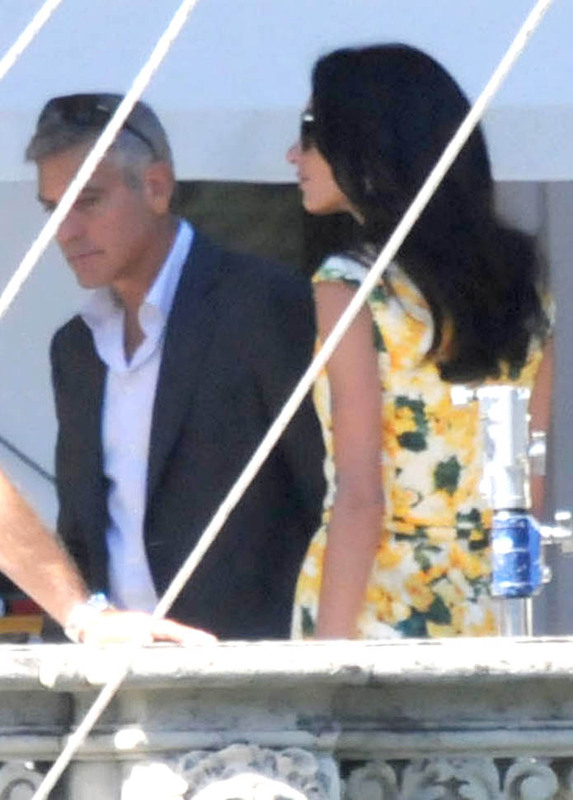 She has really good hair. 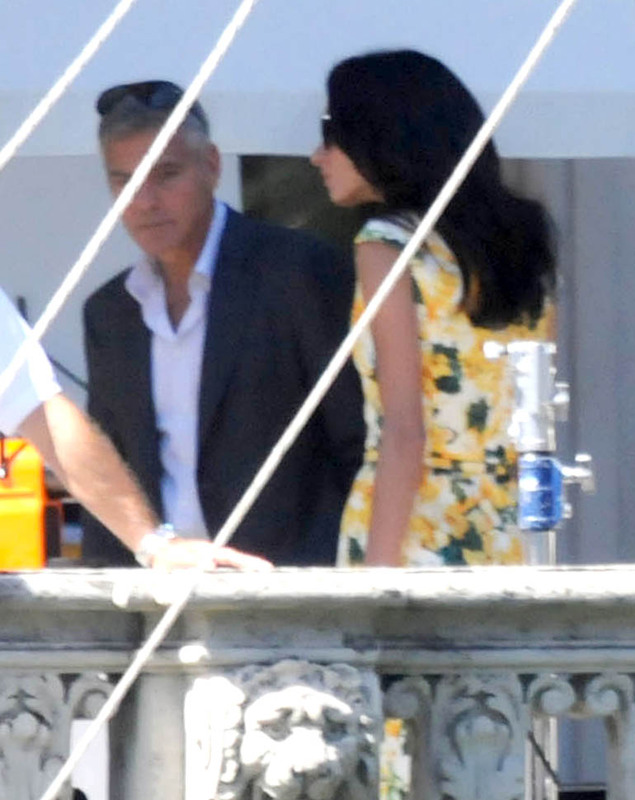 There’s always a Jackie O volume to her hair that I admire.